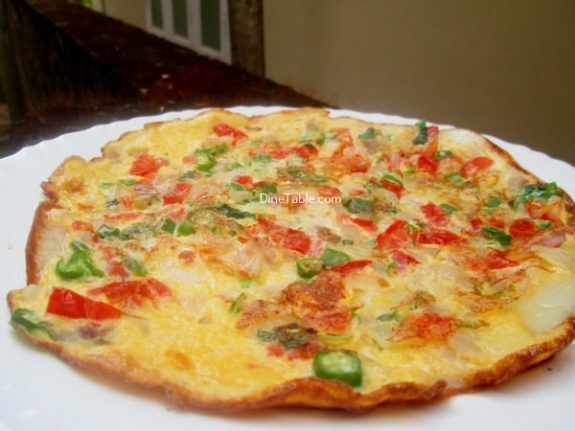 Egg dosa is also known as mutta dosa. It is a popular street food from South India. 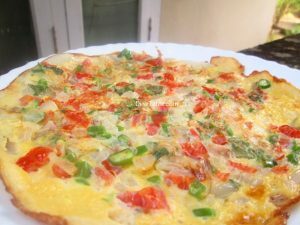 This is very easy recipe which can also be made at home. The ingredients are easily available in our kitchen. 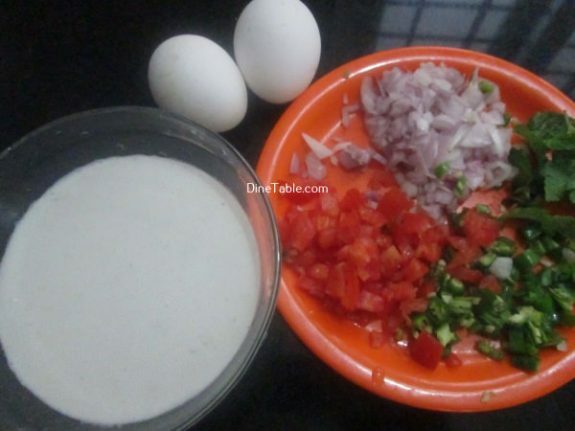 To make the egg dosa, regular dosa batter is used. 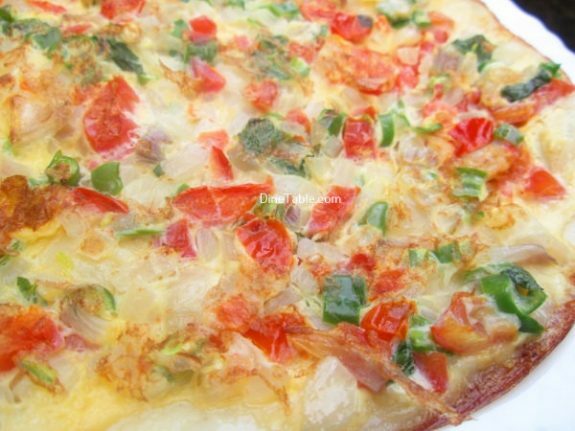 It is a very simple and tasty recipe. Wash raw rice and urad dal 5 times in water. Soak raw rice and urad dal with fenugreek seeds separately for 5-6 hours. First grind the urad dal and fenugreek seeds in the grinder to a smooth paste, adding water little by little. Now grind the soaked rice adding water. Add the rice batter to the urad dal batter in the vessel. Mix it well with hands. Add salt to it and mix well. Cover and keep it aside for 8 hours overnight for fermentation. 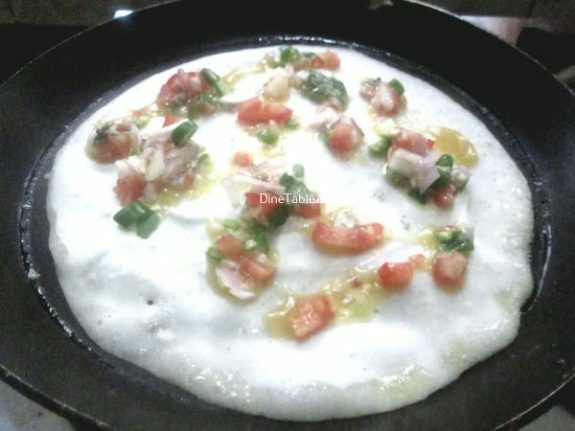 Dosa batter is ready. 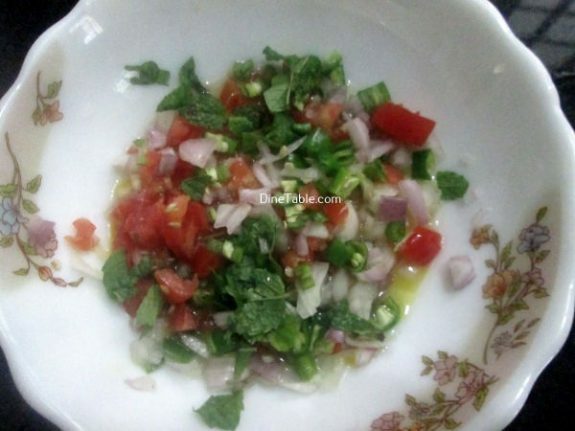 Chop the onion, tomatoes and green chilly. 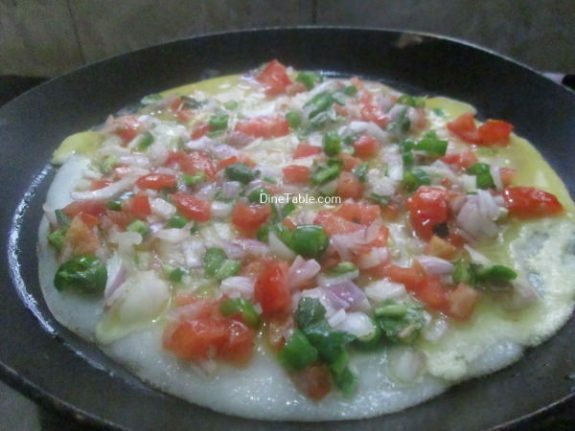 Take a bowl beat the eggs with onions, green chilly, salt, chopped tomatoes, and coriander leaves. Keep it aside. Heat a pan and grease it with ghee. Pour a ladle of batter and gently spread it. Sprinkle the egg mix all over on top. Drizzle ghee around the sides and cook on low flame. When cooked flip it over and cook on the other side too. When done remove on a plate. Switch off the flame. 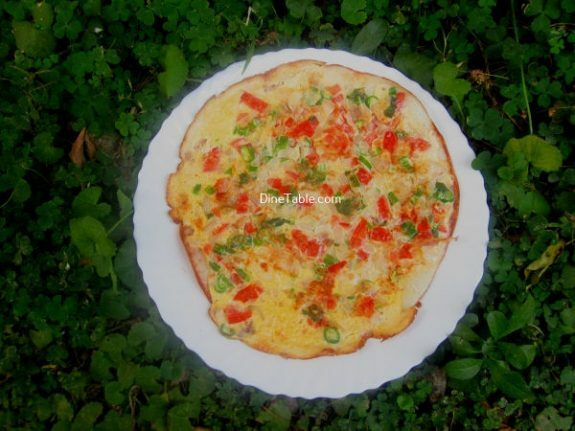 Yummy Egg Dosa is ready.